If you hear real estate agent say, "Open houses are obsolete," there's a good chance they’re doing it wrong. When executed correctly, open houses are a great way to generate new buyer and sellers leads, while getting to know members of your community. With most of real estate, you get what you put in and the same applies with open houses. If you want a successful open house, you’ll have to put in the time and work – but it will be worth it in the long run. Don’t have a listing? Ask one of your coworkers if you can host an open house for one of theirs. It’s a win-win because their listing gets exposure and you get new leads. You can also look on your local MLS to see if there are listings that are too far for the listing agent to drive to. Most of the time, they’d rather let you host an open house than drive 2 hours to do it themselves. Update the listing on your website and promote your open house on social media. Since Facebook Ads for open houses vary per market, you can either omit it from your strategy or test it with a low budget. You cannot simply rely on online marketing and social media to have a successful open house, you must get out in the field. Create and print 100 open house flyers and plan a route in the listing’s neighborhood. Knock on as many doors as you can, or you can cold call the neighborhood over the 3-4 days before the open house to generate interest. Invite everyone to the open house and finish your conversation with, “Do you know anyone who would be interesting in moving to this area?” or “Do you know anyone who is looking to buy or sell real estate in this area?” – give it your own twist. Set up between 15-20 signs anywhere from 1-2 hours before the open house starts. 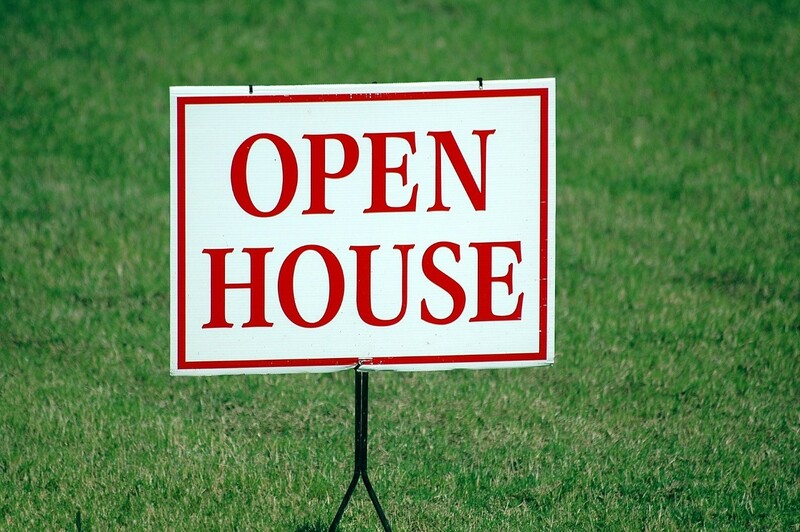 Place the signs so they create an easy-to-follow trail from the main street to the open house. Prepare the house, turn on all the lights, open all the doors and windows, and make it look welcoming. Set up your sign-in station that consists of a sign in sheet, flyers, business cards, local market reports, and anything else that an attendee will find valuable. Greet everyone that comes in and introduce yourself with a nice, firm handshake. Give them your open house greetings script and try to get as much information from them as possible without sounding too intrusive. You’ll, at the minimum, want to determine if they’re just looking around or if they are thinking about buying. No matter what they say, let them know you’re here to help and to look around the house. When they come back around, ask them what they thought of the house and if they have any questions. Confirm that they’ve signed in to your form that requests their name, phone number, email, address, and has them answer “Are you thinking about buying or selling a home? If so, which agent are you working with?” Make them feel welcomed and taken care of! The conversation can 2 ways, either they’re looking for a house and they have an agent or they’re looking without an agent. If it’s the latter, ask them if they want this house. If they say no, ask them a couple of more questions to get a better understanding of their needs and preferences. Find a house on your mobile device that they might find interesting and let them know that you can give them a walkthrough after your open house concludes. They’ll most likely say no, so ask them when they are available for a sit-down meeting, so you can get a better understanding of their needs and how you can help them. Ask them about their house if they are looking to sell: about the features, how far along the selling process they are, if they’re going to stage, and other similar topics. You can offer a complimentary home valuation and anything other services you can provide through your network – movers, cleaners, landscapers, etc. Make sure you get their address on the sign in sheet and try to set an appointment. Add everyone to your CRM and include notes about your conversations with them. Write a hand-written letter thanking them for stopping by. Remind them to call or text you when they have questions or want to see a home. You can also text them to confirm their phone number and let them know that you can send them a report of relevant listings in their preferred neighborhood. If an attendee asks why or objects to give you their address, simply tell them you want to send them a thank you card! Open houses are not obsolete, in fact, they just needed to evolve into the open house above. When done correctly, you can gather contact information and generate buyer and seller leads. You don’t need food, cookies, or drinks – you just need to be smart, effective, and genuine. If you’re having an open house next week, give this strategy a try! Need more help with social media? Try a free trial of our service!